SKU: 9014N. Categories: Jumping Castles, All Products. Tag: Sun Shade. Back by popular demand – Super Clown jumping castle with slide…..It even has removable roof to protect your children from the sun’s harmful rays! bring you the largest selection of kid’s inflatable water slides & jumping castles available in Australia. 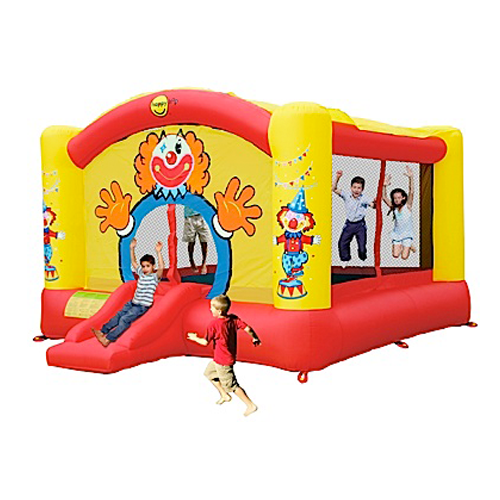 Your kids parties will be a blast with this Super Clown inflatable bouncer, the setup is quick and easy. Happy Hop has a range of sizes and features, so there is a model for everyone!